Food writer Florence Fabricant and dynamic chef David Bouley are getting candid onstage at Guild Hall. We sat down with the duo for a little preview. The relationship between food critic and chef is as fascinating as it is precarious. So when legendary New York Times food writer and author Florence Fabricant took the stage at Guild Hall in 2001 for a new series, Stirring the Pot: Conversations with Culinary Celebrities, it became an instant hit. Since then, Fabricant has brought culinary luminaries to East Hampton for off-the-cuff talks about the state of food-related affairs. 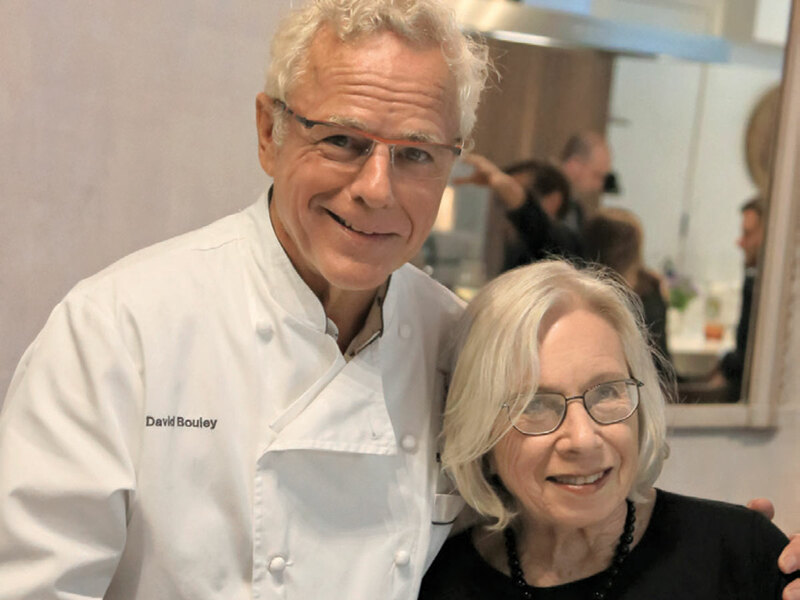 This year, she’s enlisted chef David Bouley, whose Bouley at Home restaurant in Manhattan aims to not only serve the fine cuisine Bouley is famous for, but create an educational experience that changes the way guests think about how food is sourced, prepared and eaten. There, we caught up with the pair ahead of their discussion on Aug. 12. What can we expect from your series, Stirring the Pot? FLORENCE FABRICANT: It’s an event that kind of took on a life of its own. It’s great fun because I pitch a few questions, and then whoever I’m interviewing tends to take over. I let the conversation go in whatever direction they want to take it. And sometimes there can be real surprises, like when I interviewed Lidia Bastianich. She started talking about her childhood in the former Yugoslavia and escaping to Italy. You know, things that you don’t know about people. And this is without even offering them a glass of wine! Florence, why did you decide to feature Chef Bouley? FF: He’s been on the scene a long time, and he’s brilliant. Today, with this culture of everything having to do with wellness, he knows what he’s talking about. A lot of people toss around [words like] probiotics and energy and metabolism, but they’re just trendy words that they’re using. David has involved himself with the medical profession on a lot of levels, and I think that makes a big difference. 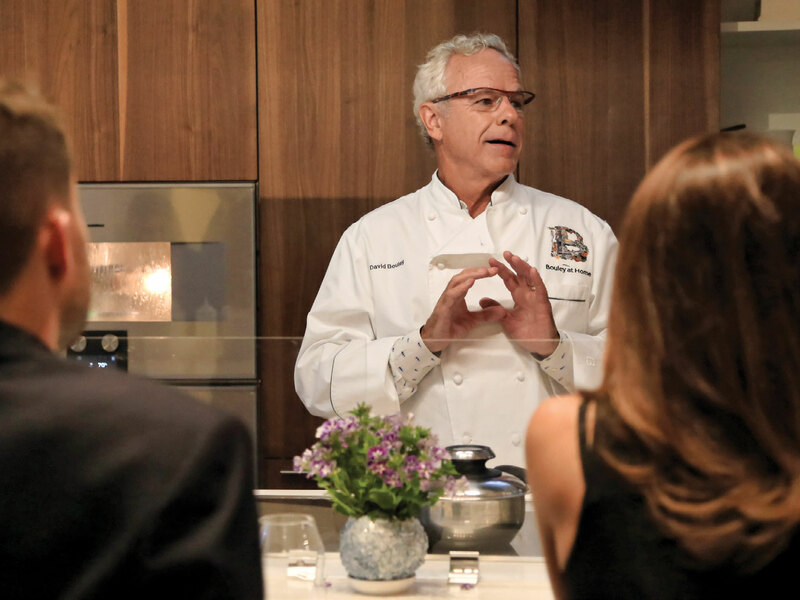 Chef David Bouley leads a cooking demonstration at Bouley at Home in New York City. Speaking of wellness, Chef Bouley, tell us about your latest culinary concept, Bouley at Home.